When I was a kid I didn't want to be a princess. No, I was going to be an archaeologist. I have no idea where that inspiration came from, but to this day I have a strong interest in history and especially in the everyday lives of the people who came before us. In our busy modern lives it can be easy to forget how different things were for our ancestors. Fortunately the National Trust, through its commitment to heritage preservation, makes it possible to get a glimpse into the past. Now as part of the Western Australia Heritage Festival, on Sundays from 21 April to 12 May entry to many of these wonderful places is free. Some of the properties are in or near Perth but there are other equally interesting places in the Southwest and the Goldfields. Some have cafes, tearooms or historical re-enactments (check the websites for details) and most have gardens that are lovely picnic spots. Why not make it a family project to visit them all? Tranby House is a fascinating place and a wonderful example of the work done by the National Trust. Built in 1839 by Joseph Hardey, by the late 1960s it was abandoned and nearly in ruins. Since being acquired by the National Trust in 1973 it has been restored to its former glory as the homestead of a successful farm. As well as wheat, barley and oats, Hardey grew olives for oil, made gold-medal winning wine (though as a good Methodist he was a non-drinker) and ran a flour mill. The cellar features an evaporative cooling system of his own design. For those times in the isolated Swan River Colony, this was luxury indeed. Woodbridge was first settled in 1831 by Governor James Stirling, who built a cottage to escape from the pressure of city life. In 1883 the land was purchased by the wealthy Charles Harper who replaced the modest house with a mansion befitting his position. (Interestingly, he also founded the prestigious Guildford Grammar School – in his billiard room.) 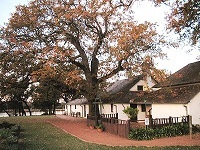 Over the years the house served as part of the school and then as an old age home. These days the riverside house and beautiful gardens are a pleasant place to spend an afternoon imagining life in a gentler time. From the beginning of the Swan River Colony to 1899, almost everyone who died was buried in East Perth. Since then about 90% of the headstones have been lost but some 800 remain. Even a causal visitor will notice familiar names and indeed the cemetery is an important place for local genealogists. More than that though, the dates, causes of death and inscriptions tell a fascinating story of their own. Construction on the York Courthouse began in 1852. Amazingly, the cell block was in use until 1981 and the courtroom until a few years after that. These days visitors can explore the complex and learn about its history through games, film clips and other displays. The Layman family home was built in 1859 and replaced several earlier homes. The property includes a one-room schoolhouse added in the 1870s. The farmhouse of Ellen and Alfred Bussell was built in 1857 and became the centre of a thriving property. 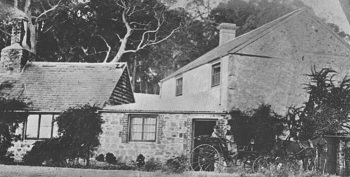 The oldest farm in Western Australia, this property was established in 1827 as part of the first European settlement at King George Sound. Note: limited access due to renovations. This stone and brick house was built in 1895 for the first resident Magistrate and Mining Warden during the great gold rush which began in 1892. Opening hours and facilities vary so check the websites before visiting.